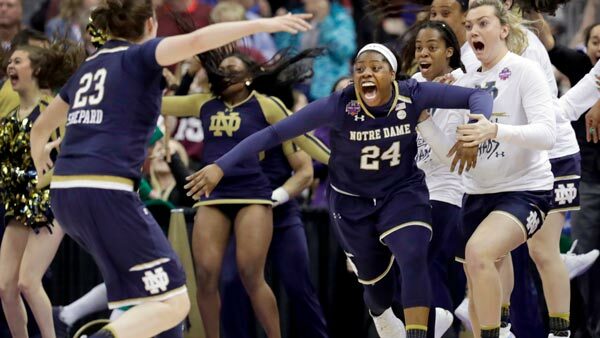 COLUMBUS, Ohio -- Arike Ogunbowale hit the shot of her life - again. "It just felt right," said Ogunbowale, who scored 16 of her 18 points in the second half. "I practice late-game all the time. I just ran to Jackie and said, 'Throw it to me, throw it to me.'"